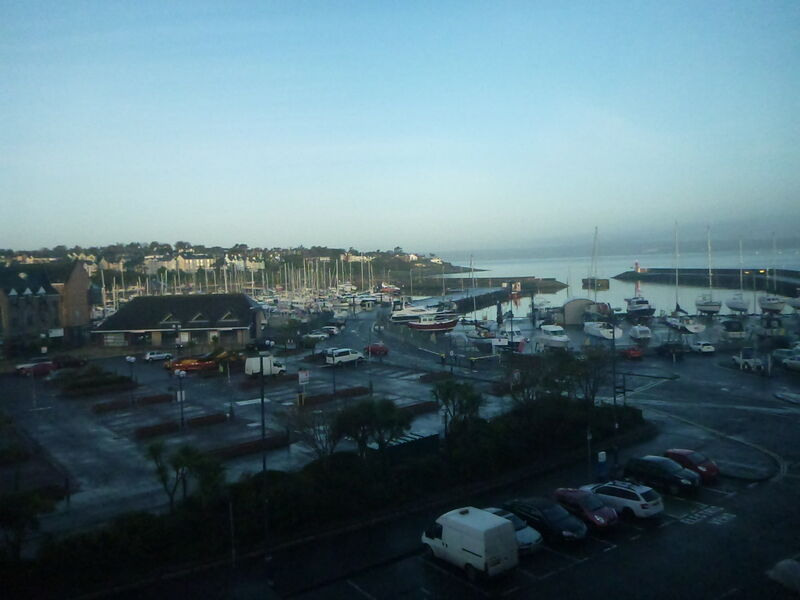 Bangor, County Down, Northern Ireland, as viewed from my hotel room at the Windsor Inn. My recent travels in Northern Ireland have proved something to me – you can travel in your home country and love it, and get surprised by it. After my adventures on the north coast of Northern Ireland, I returned to my home town of Bangor, which is in County Down, just 12 miles from Belfast and sits by the sea. I was heading out for a 30 Year Primary School Reunion (yes, I am that old) and wanted to experience my home town as a traveller rather than stay with family or friends so I went from Hostels in the north coast to a Hotel here. 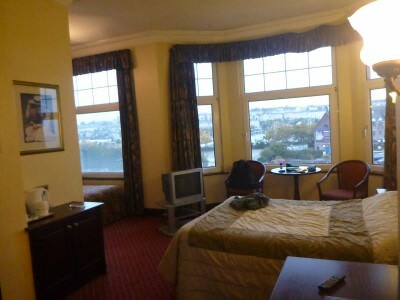 I chose the Windsor Inn, which is the Royal Hotel on the seafront of Bangor. One thing different about this stay however…is that sadly the hotel and pub are no longer open. 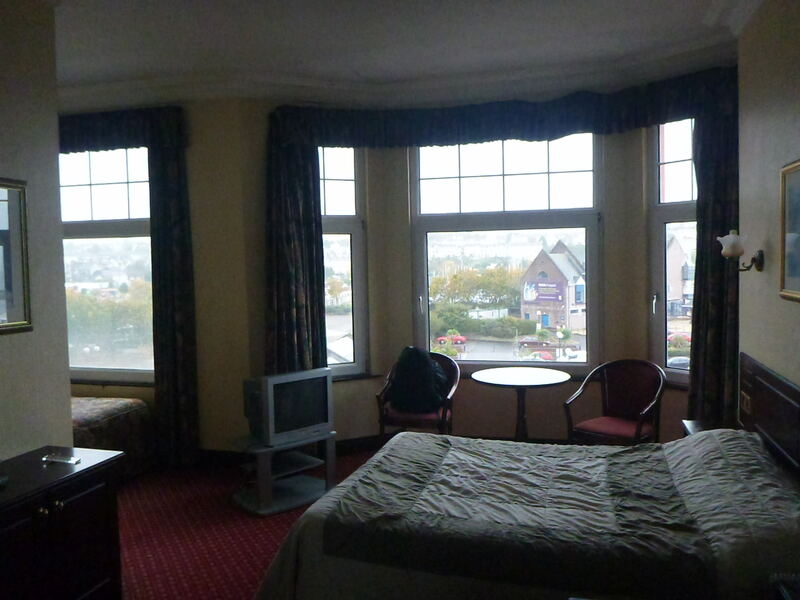 I was one of the last guests ever to stay in the Royal Hotel as it was. Quite simply, the Royal Hotel was one of the best hotels in Bangor for the casual, everyday traveller. 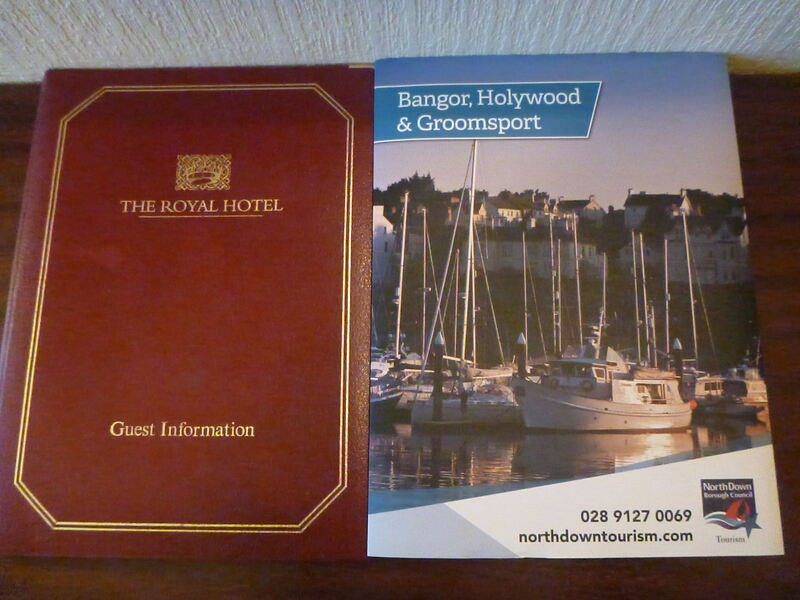 The Royal was situated at the seafront, right in the heart of Bangor’s town centre and coast all in one. The Royal Hotel lasted for generations and maintained a charm right to the end, typifying an old school British or Irish seaside hotel. As Bangor has no backpacking hostels to date, the Windsor Inn was once the best place to stay in town (now of course – the Cairn Bay Lodge is the best spot). Here are 10 reasons why I loved the Royal in what is my first ever hotel or hostel review of a place you can no longer stay in (sadly). 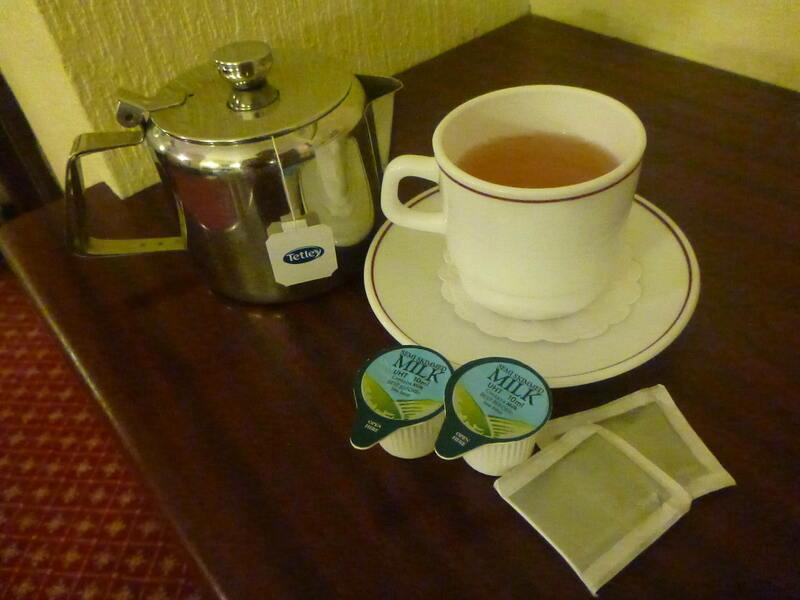 Tea in the last week in the Royal. Bangor is an iconic Northern Irish seaside town. Commercialism has come and gone, leaving behind only beauty. Seafront views from the Windsor Inn were tremendous. I’ve stayed in hotels, hostels, guesthouses etc. in 100 countries, but you’ll have been hard pushed to beat this view. Tremendous seafront views of Belfast Lough frm my room at the Windsor Inn. The eyesore of the Marina was a huge talking point in the town in the 1980s and 1990s. Thankfully, apart from the Marina, Bangor’s seafront and skyline hasn’t changed for years. 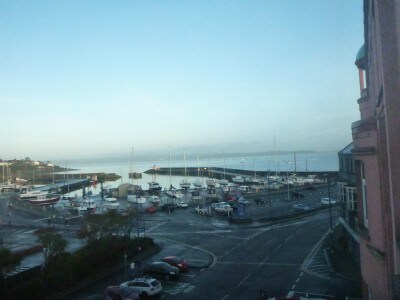 Bangor’s CBD is the combination of two streets which run down hill to the seafront – High Street and Main Street. 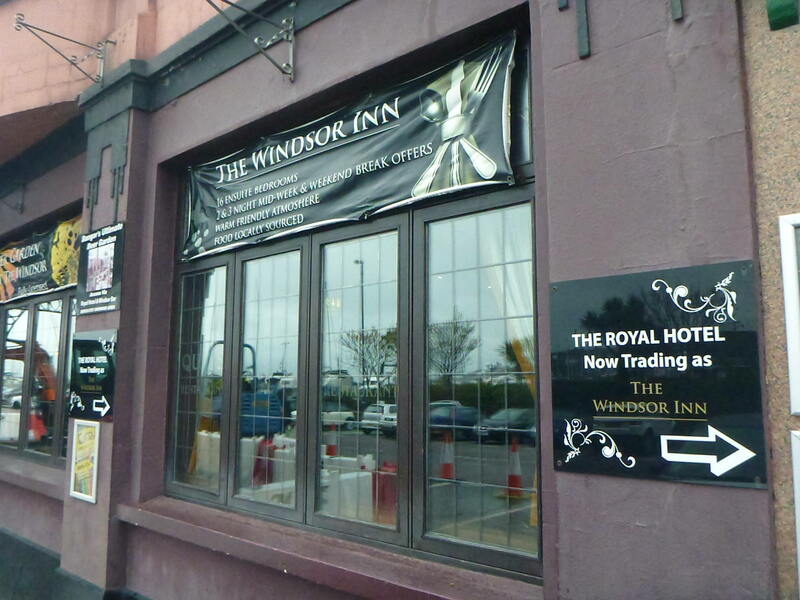 The Windsor Inn was located on Quay Street, so you are 1 minute walk from High Street and 90 seconds walk from Main Street. Usain bolt could do it in less than 10 seconds. I had a hot bath and shower in my room – this is a real luxury as these days so many hostels and hotels have showers only. It felt great to have a shower again, goodness knows if anyone ever used the bath after me as it shut for good a few days later. 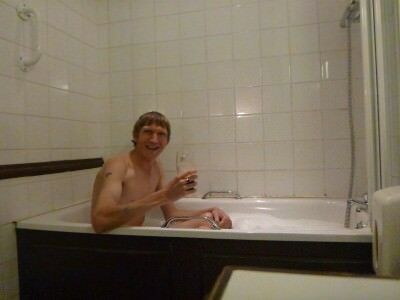 Hot bath in the WIndsor Inn, Bangor, Northern Ireland. 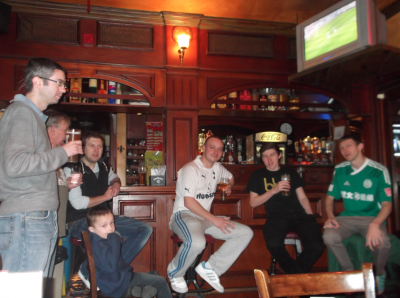 Downstairs on the ground floor – where the reception entrance was, you will see a typical Irish/British style pub. The Windsor was my local. I loved it. It was quite simply the best pub in town, and though a slight bias exists here, it was one of the best pubs on the planet until its recent demise and closure. Whether it’s closed or not, whether I’m backpacking in Lithuania or not, it’s still and always will be my local pub – The Windsor Bars Bangor. The Windsor Bar, Bangor, Northern Ireland. Some people still have apprehensions about visiting Northern Ireland and I aim to put that right. The “troubles” for what they were worth have passed the country by now. Bangor always was a safe haven in the country and even moreso now. Not only is the town safe, but the Windsor Inn was a safe and secure spot. For the record I was in room 236. Safe and Secure spot – the Windsor Inn. Northern Irish people are a clean and tidy bunch. It’s not a dirty nation, it’s squeaky clean and the people are proud of that. This is echoed by the conditions of the streets and houses. 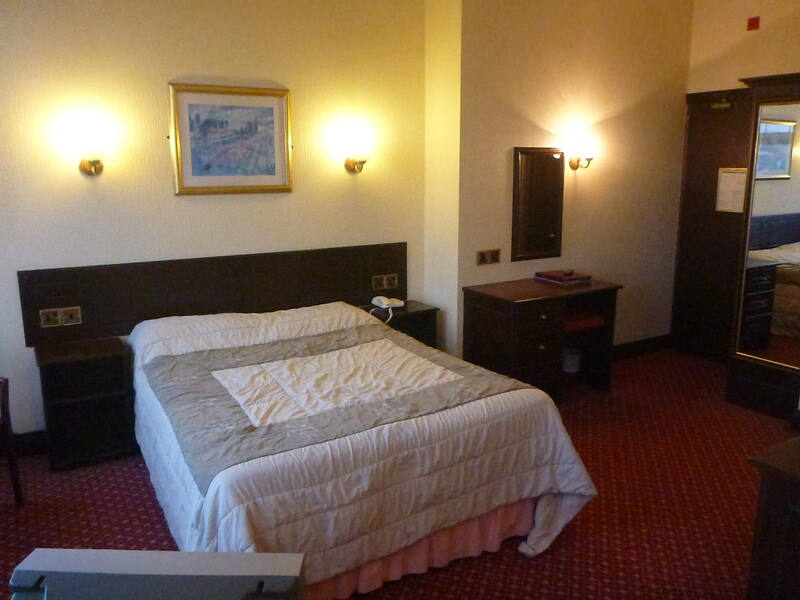 The Windsor Inn rooms were always well kept and maintained. My pristine room at the Windsor Inn. 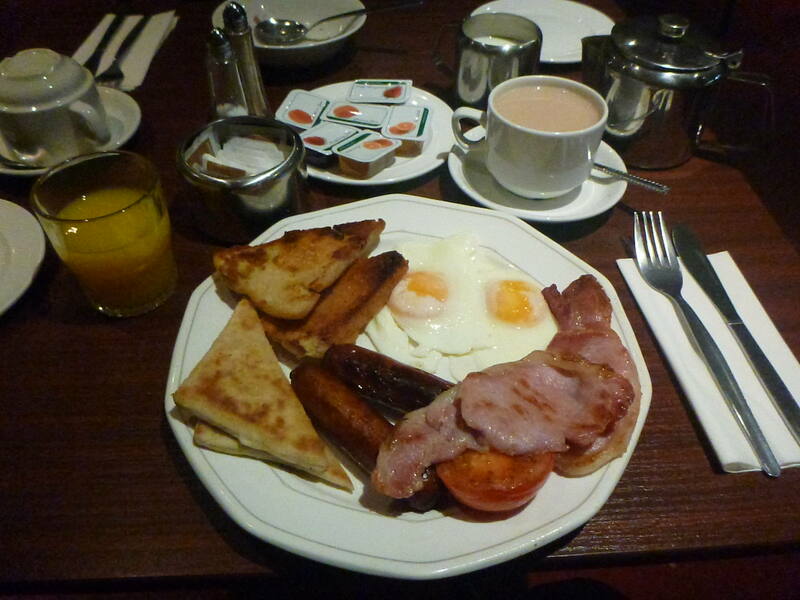 Included in the room price was a fantastic local experience – the Ulster Fry. This is Northern Ireland’s national “all day breakfast” and is one of my favourite meals. Between 7 and 9.30 am, I headed downstairs to the dining room for a full fry up – soda potato bread, tomatoes, sausages, bacon, tea/coffee, orange juice and breakfast cereal. My Ulster Fry for breakfast in the Windsor Inn. As bizarre as this sounds, but the only hotel I have ever stayed in where I’ve had a fresh pint of Guinness in my hotel room is right here in the Windsor Inn! 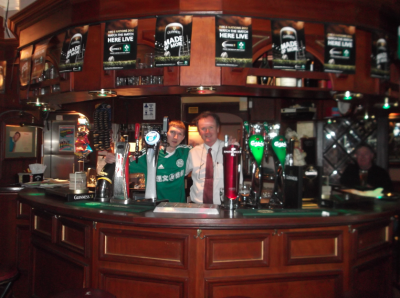 As a resident of the hotel, the bar would be open all night long for you. Sad times the place has shut. I took advantage of this, bringing a Guinness pint to my room to relax, and even on this occasion having a Guinness in my hot bubble bath. Travel bliss? Not far off it! A pint of Guinness in the bath? Why not! The owner of the Royal Hotel and Windsor Inn was a local man called Paul Donegan. Paul knows all about the local sights and spots and would have brochures in every room and knowledgeable staff on reception. 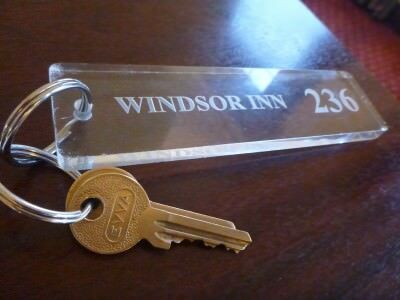 Sadly you can no longer officially stay at the Windsor Inn or Royal Hotel and I feel sad about this. However if it ever reopens, which I hope it does, I’d be racing to see it in its new format. I’m off to shed a tear now as the Windsor Inn and Royal Hotel have now ceased trading. Pour me a pint of Harp and turn the lights out would you. 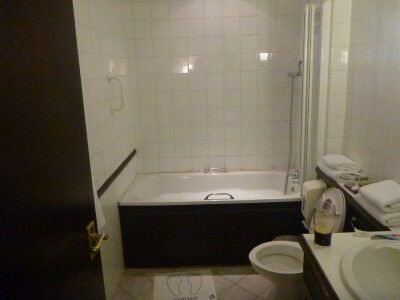 This entry was posted in Accommodation, Bangor, Europe, Hotels, Northern Ireland, United Kingdom. Bookmark the permalink. Sorry to hear about your local’s closure. That’s unfortunate, but I guess everything changes over time. Do you know what Paul is doing next after this?